Several months ago I wrote about cocoa crack, a sugar-free candy our family just can’t seem to get enough of. Well, it was time to expand our horizons. 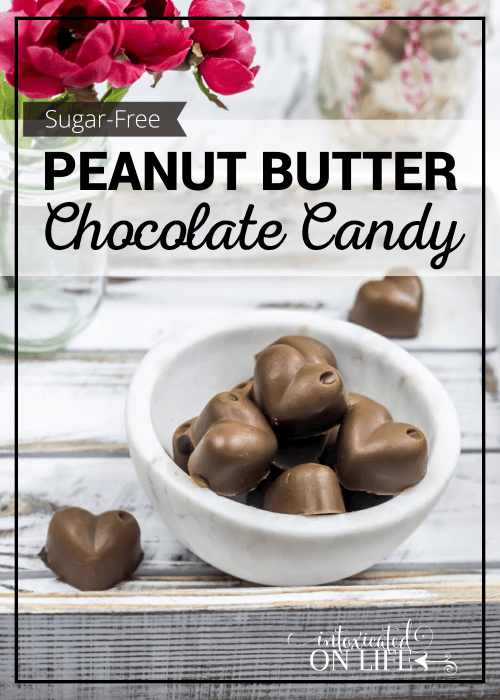 After a bunch of tweaking, I’ve come up with another candy our family likes even better—a sugar-free peanut butter chocolate candy recipe I know you’ll love too! 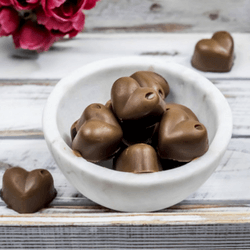 Peanut butter chocolate candy you can feel good about giving your kids! 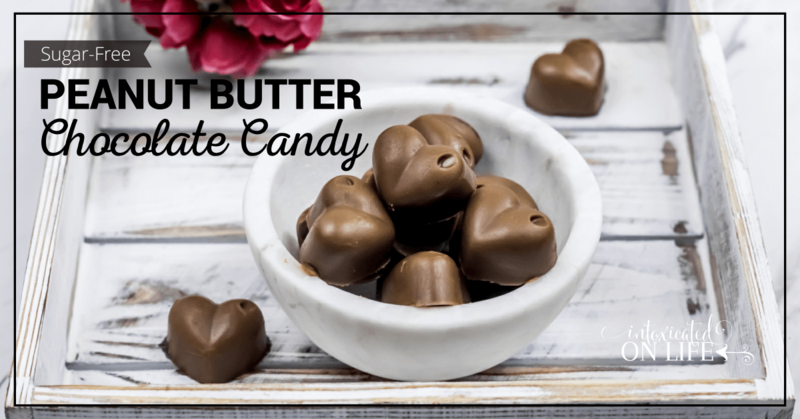 These are also known around our house as the incredible disappearing peanut butter candies! It seems I can’t make enough of these for them to stick around for long. My husband and kiddos enjoy them for a little sweet treat all through the day. By the time it’s nighttime and I open the freezer to grab one, stock is low (or gone)! This is a treat you can feel good about feeding your family. A treat that is sugar-free and packed with healthy fats to nourish their brains. Our family loves peanut butter, so I’m thankful we don’t have any peanut allergies. If your family can’t do peanuts though, you could substitute for another nut butter, sun butter, or use more coconut butter in place of the peanut butter. 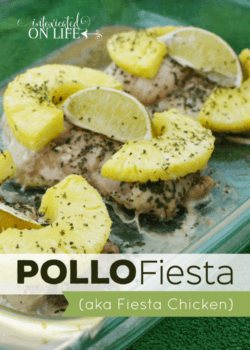 I hope you enjoy this simple recipe as much as we do! In a small saucepan, melt butter, peanut butter, coconut oil, and coconut butter over medium-low heat. Add the stevia and cocoa powder and mix thoroughly. 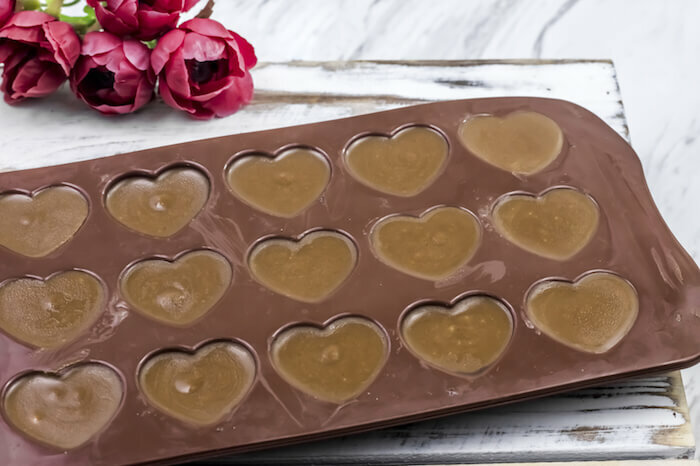 When it's well combined pour into candy molds or ice cube trays. Place the candies in the freezer so they can set up. Once set up, you can eat them right away. I pop the candies out of the molds and store them in a ziplock bag in the freezer. These candies rarely last more than 24 hours in my house! Need a dairy free option? In place of the butter use 1/4 cup more peanut butter and 1/4 cup more coconut butter. They'll still turn out lovely! These little babies are a fantastic recipe for individuals on a ketogenic or low carb diet. Low in carbs and protein, high in fat—they make the perfect “fat bomb” for those days when you haven’t been able to get your fat percentages up to quite the right ratio. Below is the nutrition information per serving if you divide the recipe into 30 pieces. Yum! We are trying to drastically reduce our sugar, and this looks wonderful. I’m going to put it on the list of recipes for us next week! Looking forward to meeting you at BEECH! Thanks for stopping by Mary! 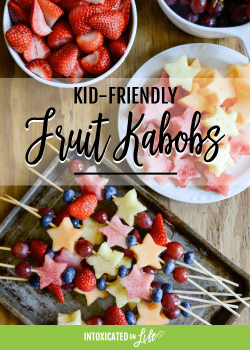 My kids LOVE these – they are a fantastic candy replacement. Looking forward to meeting you at BEECH too! I’d like to try this recipe. I’ve not been satisfied using stevia in any baking or making anything other than using it in drinks (which I love). I’d use almond butter however. Thanks! Pinning RIGHT now. Thanks for the recipe. Just made these with Sunbutter instead of peanut butter. AMAZING!!!! YUMMY!!! ADDICTIVE!!! Awesome! I’m so glad they turned out good for you. I haven’t made them for a while. I’m not sure why since EVERYONE in the family loves them. This is awesome candy! Hope you are having a great weekend and thank you so much for sharing with Full Plate Thursday. I used almond butter instead with delicious homemade coconut butter and it was perfection UNTIL Stevia extract made this once wonderful, healthy, expensive mixture completely inedible. I’m not sure what happened since I was so precise but we spit these out. The Stevia addition was a disaster for us. I might try with swerve or a few drops of flavored liquid Stevia. It was terrible to throw these costly ingredients out though. I’m so sad. Oh no! I’m so sorry that it didn’t turn out. I know how horrible that is to lose expensive ingredients. What kind of stevia did you use? Not all stevia is the same. There are many brands I’ve tried and didn’t like. I think swerve would be great in this. You could also try xylitol (I often mix xylitol and stevia). Can you tell me what kind or brand of stevia you like? Hello. These sound delish and right up my peanut butter-coconut alley!!! Think I could use coconut oil instead of the butter? Or would that make these too melty? Just put my first arch of peanut butter chocolate candy molds in the deep freeze. I use NuNatural liquid Stevia which does not have an after taste. Anxiously now awaiting for them to freeze. I hope you enjoyed them! Using stevia can be tricky getting just the right amount.